Place the mango, red onion, coriander, red chili, lime juice, orange juice, sugar, and cumin powder in a blender, and blend to a coarse puree.. Season the chutney with freshly ground black pepper, refrigerate and served chilled. Isn't that lovely? I made something similar before. Just brought back memories. Angie...this is so refreshing. 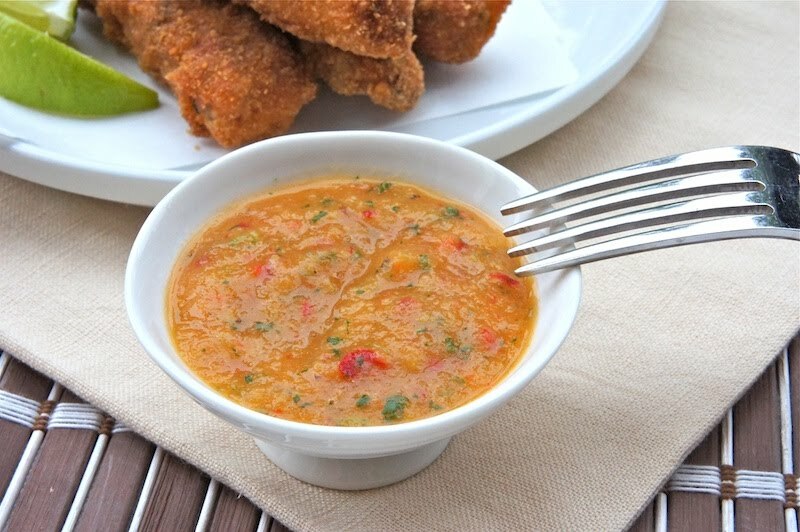 I will definitely try this out :) Thanks for sharing such a wonderful mango chutney recipe. Oh, I've never made a chutney before. I really should add that to the list though! It's so versatile. @Spoon and Chopsticks: Yes, it was lovely. Thanks. @Roxan: You should making it. Looks delicious....did you puree the chutney or just cut the mango into a fine chop? @Anonymous: Thanks. I have just updated the recipe. I like the sound of this no cook chutney! I tried your fresh chutney tonight, as I had an over-ripe mango that really needed used up. The chutney was an instant hit, both of my kids (5 and 7) loved it. I'll be back for more recipes, thanks for sharing!! @Anonymous: That's awesome! I'm glad your kids loved the chutney.